Would you like to know what other clients experienced from Albert Home Health Care Agency LLC? From the beginning, Albert Home Health Care Agency LLC has always strived to provide consumer-centered and cost-friendly home care services to its consumers. We believe that staying at home can be possible in the face of illness or old age. When your independence declines due to health issues, it is not entirely necessary that your family should resort to institutional care. In fact, care at home is a viable option. Albert Home Health Care Agency LLC offers home care solutions that enable the elderly and disabled to stay in their homes or age in place. We organize our caregivers and home care professionals to make the trip to your homes instead so that you can receive professional care right where you live. It is a much practical and more convenient way to remain as independent as possible. We look forward to being your care provider soon. When you look for quality home care, you will find it with Albert Home Health Care Agency LLC. 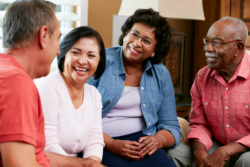 We are an Office of Long-Term Living Aging Waiver Provider, registered in both Montgomery and Philadelphia Counties. The majority of our consumers have their service costs completely funded by the Aging Waiver. Please feel free to call us to inquire further about Aging Waiver eligibility. We are committed to providing high quality, consumer-centered and affordable Home Care services to our consumers to assist them to lead dignified and independent lives in the comfort and safety of their own homes.